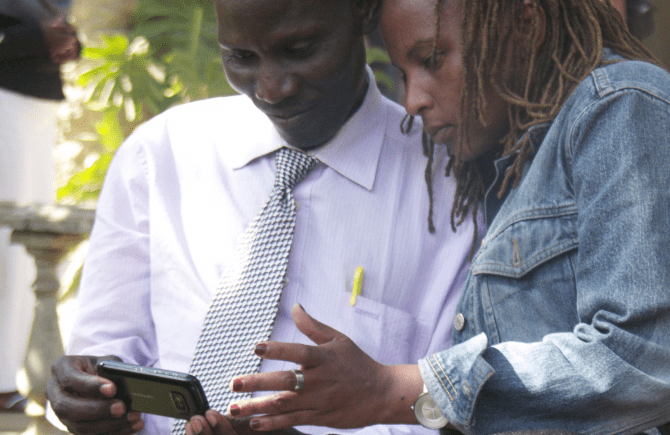 Have a smartphone – become a human rights defender! “Does a photo or video tell the ‘truth?”. The result will be presented at the Palais des Nations, on 29 February during a side event open to the public on the occasion of the Human Rights Council (for accreditation to this side event, non-UN-badge holders are invited to contact the organizers before 24 February). True Heroes Films (THF) will be filming the event and will produce a short film to be shown at the side event. The music is from: We Always Thought the Future Would Be Kind of Fun by Chris Zabriskie. The reliability of images captured and transmitted by HRDs is crucial to keep the value of their hard-won evidence high . The InformaCam application proposed by Witness uses the built-in sensors in modern smartphones as well as wi-fi, bluetooth, and cell-tower information to create a snapshot of the environment in which an image or video was captured. This validates the date, time and location of capture. Digital signatures and encryption ensure that the images haven’t been tampered with and can only be opened by the intended recipient. I have always tried to keep you up to date on technological developments that can benefit human rights defenders. On 5 September 2013 I listed several new ideas (Natalia bracelet; Panic Button; Silent Circle; Security in a Box) and added the question who among the hard-pressed human rights defenders on the ground have the time and energy to sort through all this and pick what is most meaningful for them?. InformaCam – Secure & Verified Mobile Media. 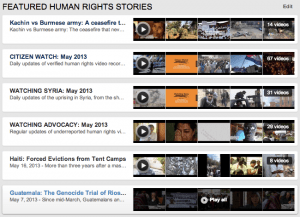 Human Rights Watch produced an end-of-year 2013 overview. The Asian Human Rights Commission (AHRC) is announces the latest issue of its weekly video news bulletin (episode number 10). Amnesty International used a slick production to get attention for the fate of Syrian refugees in Europe (not explaining why other regions are not targeted by the way). Inspirational resilience: Celebrating Human Rights Defenders in Eurasia | Freedom House. On Human Rights Day, US-based Freedom House recognized the work of HRDs in the Eurasia region with a slide show on: Kazakhstan, Russia, Belarus, Kyrgyzstan. The International Service for Human Rights in Geneva presents its work with a video. Human Rights First used YouTube to announce its fundraising live stream for the end of the year. the organisation Witness in the USA which has pioneered the use of video cameras in the hands of human rights defenders. When the internet some 25 years ago made it possible to send and ‘publish’ almost unlimited amounts texts, the original euphoria in the human rights movement (whose main weapon is after all documentation) was quickly dampened somewhat when it also led to information overkill. Something similar is bound to happen with images which can now be ‘published’ and transmitted as easily as documents (but without the free-text search capacity). On the other hand there will be new possibilities and different ways of getting the human rights ‘stories’ across, especially on mobile devices used increasingly by younger generations. The True Heroes Foundation – of which I am a founding Board member – wants to follow and use this development in a way that Human Rights Defenders derive maximum benefit from the new information and communication technology. It hopes to do so by making stories and images of HRDs the most eminent entry point for those seeking information on human rights in the near future. Keep following this blog and the website www.trueheroesfilms.org in the coming year for ….I am afraid …yet MORE information!! With these thoughts, I WISH YOU ALL THE BEST FOR 2014. The December 2007 elections were marred by unprecedented violence: killings, rapes, lootings, attacks on civilians, and massive displacement. 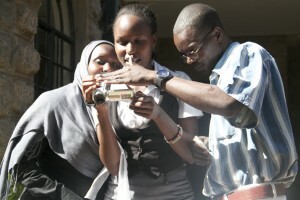 Historically peaceful, Kenya devolved into violence that caught many unprepared—including human rights activists who were unable to use video to document the magnitude of what was happening. Normally I would not feel that BBC news (5 November – by Sean Coughlan, BBC News education correspondent) needs to be repeated in my blog but this story is so specifically linked to Human Rights Defenders and so much ‘hidden’ in the education/business section that I want to alert you all anyway. This is a shortened version. An international training institute to teach online tactics for human rights campaigners is being set up in the Italian city of Florence. The first students, starting in the new year, will be drawn from human rights activists around the world – with the aim of arming them with the latest tools for digital dissent. There is a dangerous, high-stakes, hi-tech game of cat and mouse being played – with protesters needing to balance their secrecy and safety with their need to achieve the maximum public impact. This training centre, being set up by the European wing of the US-based Robert Kennedy Center for Justice and Human Rights, wants to combine academic study with practical skills and training. With a good dose of irony, the training institute is based in a former prison building, donated by the city of Florence. Federico Moro, the director of the project, says the intention is to use “technology to promote democracy, human rights and justice”. “The idea is that with social media you can achieve change,” he says. He says campaigners might have passion and belief in their struggles, but they also need practical knowledge. These students will be blog writers and campaigners, who will be able to study in Florence on scholarships provided by the Robert Kennedy Center. Recruiting will be complicated by the need to protect the privacy of people who might be put at risk even by applying. As well as teaching individuals, the institute wants to provide information for organisations and businesses, advising on areas such as human rights legislation and ethical investment. But what does a digital activist – or a so-called “smart dissident” – need to know? Chris Michael, from the Brooklyn-based human rights group Witness, describes the practical steps that protesters are using to stay ahead. There are websites that allow for anonymous internet access, allowing people to organise without revealing identities. There are also means of circumventing censors’ attempts at blocking websites. The Tor project software, an unexpected spin-off from military technology, is favoured by human rights campaigners. Mr Michael says there are also “work arounds” to make online video and phone calls more secure from surveillance. Another practical development is software that can easily pixellate faces in video footage, protecting bystanders who might be put at risk by identification. In terms of posting videos of protests or repression, Witness is working with YouTube on a dedicated human rights channel. It’s already hosting hundreds of user-generated videos from a wide number of countries, at the moment including Syria, Pakistan, Libya, Burma, Chile, Spain, Russia, China and the United States. There’s a daily update of video reports which include anything from student protests to forcible evictions. Selecting and showcasing the most relevant videos is important to make an impact on YouTube’s global audience, Mr Michael says. “Very few people are going to watch for hours. You might be able to get their attention for 45 seconds, that’s the world people live in,” he says. The spread of mobile phones means there is an unprecedented ability for recording and distributing evidence of violence against citizens. We’re living in a global goldfish bowl. But is this making the world a safer place? Can cheap video and social networking defrost dictatorships? To put it bluntly, could Hitler and Stalin have been exposed at an earlier stage by Twitter and YouTube? 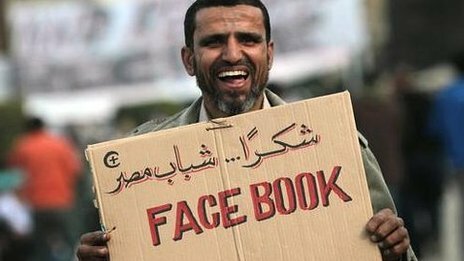 The Arab Spring saw social networking becoming a forum for protest. But the question remains whether Facebook really enabled Arab revolutions, or whether it enabled the rest of the world to find out more about a revolution that was going to happen anyway. Stephen Bradberry, a community activist in New Orleans in the wake of Hurricane Katrina, uses the word “slacktivism” – as a caution for the idea that clicking on a “like” button is a sufficient alternative to grassroots organisation. He also makes the point that while the internet makes so much information accessible, the power to find it is handed over to the search engines and their algorithms. But the act of documenting is an important statement in its own right, she says. The idea of so many individuals making their own video history in this way is “something new and important”. As an educational project, the human rights training institute project in Florence is an unlikely collision of influences. It’s a highly individual project. Stephen Bradberry warns of the risk of relying on online campaigns instead of grassroots protests. 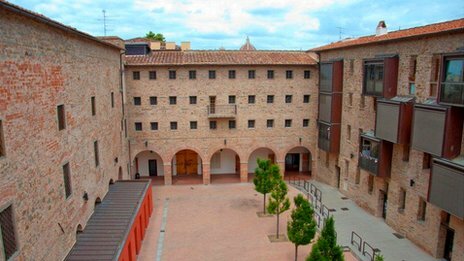 Inside the sturdy medieval prison walls, in the birthplace of the European renaissance, there is this hi-tech centre for online civil rights, awaiting students from around the world. Into this mix is added the legacy of Robert Kennedy’s 1960s idealism. The foundation was set up in memory of the assassinated senator and is now headed by his daughter, Kerry Kennedy. The article finishes with a good question “Does online technology help to protect the rights of the individual?” and a range of reactions. Read it and participate.